PennsylvAsia: Crazy Rich Asians at Carnegie Library downtown branch, January 22. 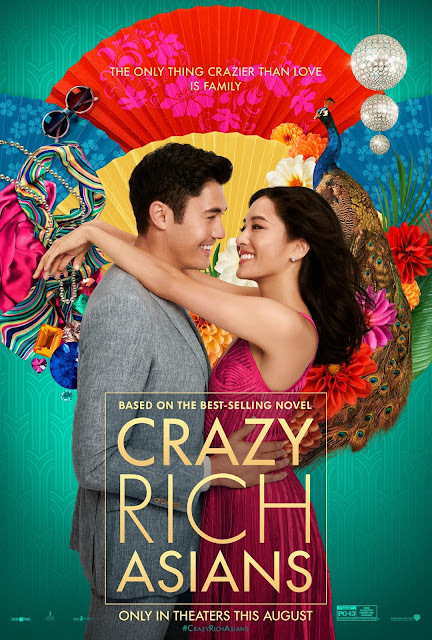 Crazy Rich Asians at Carnegie Library downtown branch, January 22. The Downtown & Business branch of the Carnegie Library of Pittsburgh will present Crazy Rich Asians as its next installment in its Page to Screen series on January 22. A native New Yorker accompanies her longtime boyfriend to his best friend’s wedding in Singapore. Excited about visiting Asia for the first time but nervous about meeting her boyfriend’s family, she is unprepared to learn that he has neglected to mention a few key details about his life. It turns out that he is not only the heir of one of the country’s wealthiest families, but also one of its most sought-after bachelors. Based on the novel by Kevin Kwan. The film was the 16th highest grossing film in the US in 2018 and was the top film in the country for three weeks in August. It runs on the 22nd from 12:15 to 2:15. The library is located at 612 Smithfield St. (map).